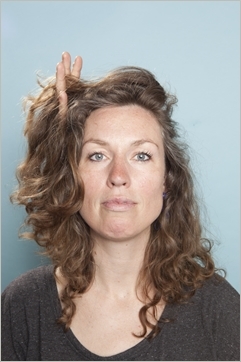 Matthea de Jong (1981) works in the field of media, arts, and human rights. Currently, she is programme manager of Iepen UP, a multidisciplinary programme, which is being presented within the framework of the Capital of Culture of Europe 2018, Leeuwarden Fryslân. A programme about freedom, democracy and diversity, about how we live together in a changing world. Earlier, she was co-founder of Movies that Matter Foundation, a platform for cinema and human rights including an annual international film festival. She also set up a grant and workshop programme for new film festivals in countries where freedom is under pressure for which she was nominated for the Impact Award 2015 and published the book "Setting Up a Human Rights Film Festival". As an independent programmer and consultant she worked on many projects, including several participatory cross-media projects like the Asielzoekmachine and Operatie Zohre, both dealing with migration and integration issues.